The long-term home for Matt Potts is finished. Building toward the future begins now and the co-founder of Destihl Brewery sees lots to be excited about. As Potts sat in the new $14.5 million dollar facility talking to Brewer the day before their first major bottle release of Dasvidaniya — a Russian Imperial the brewery is known for along with their 10th anniversary since opening the first brewpub in Normal, Illinois, the veteran CEO and Brewmaster joked that making breweries is something of a career for him. “This is the fifth brewery I’ve opened. 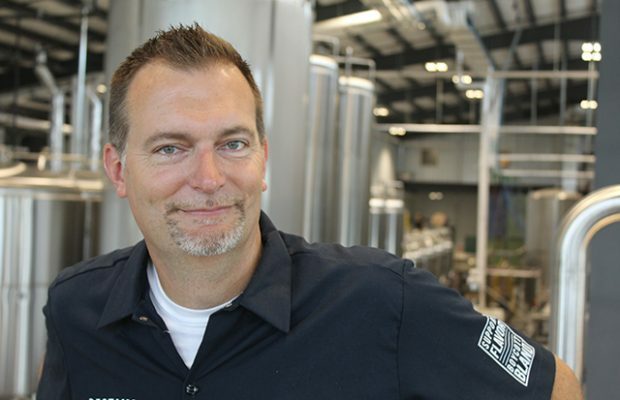 Not that I’m a professional but, holy cow I’ve opened five breweries since 2001,” he said. “So I don’t know if I’m a little insane or a glutton for punishment. Maybe I’m aggressive, vicious, stupid … smart. I don’t know what. All the above. I don’t really know what, but I am excited to do this. That future, a production facility capable of making upwards of 200,000 barrels of beer sits in an area of about 130,000 people in central Illinois. It’s not exactly the beer capital of the world. So why plunk a multi-million dollar project so far away from currently thriving beer markets, or even in a city like Chicago? Potts said the Bloomington/Normal, Illinois market is home. “We really have no business having a brewery like this where we have it,” he admitted. “You’d be stretched to even find something this big and beautiful even in some of the best parts of the country. “And we really modeled this after something you see out west, whether it’s Colorado or California or whatever. But, I’m just a farm boy from Illinois. I mean, I grew up here. I’m grounded here. This is where my family is. I’m comfortable. I love mountains as much as the next guy and I’d love to live in Colorado. But this is where we are and this is where we started. And what makes it even more difficult is not only are we not maybe in what we would consider any kind of beer Mecca whatsoever, but that is a challenge. It’s a great challenge for us. “It’s not the easiest state to grow a business, either legislatively or from an economic standpoint. “We had every reason in the world to not grow this business here. We could have just been content with two brewpubs and maybe built a production brewery in a neighboring state or somewhere else. But it had a lot to do with Bloomington/Normal and that it was a great community and deserving of something like this. Two key drivers is that the brewery is in the middle of the country with a good reach both east and west along with driving the market with a sour program that began early, gained some recognition and have used that to work themselves into a wholesaler’s portfolio. It has helped the brewery expand to 21 states by the end of 2017, with adding more in 2018 as the brewery announced at the end of November they planned to enter the Massachusetts market and internationally to South Korea. It means more orders and more increase in production. 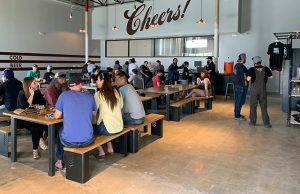 All which Potts planned for and built the new facilty for, which is around 80 percent loans and 20 percent personal finance from the brewery’s profits and investors. “You know, as we sit here and think, that was almost the more mind-boggling, fascinating thing that we were able to get this massive brewery financed,” he conceeded. 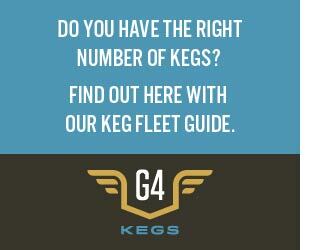 “We are a fairly small brewery operation. You know we were only at about 8,000 barrels at the time. I mean most of it was from the SBA and our lenders, and to get the lender to get behind us on a project this big is no small task. Another risky move Potts made was taking a lender to the 2015 GABF to work at the booth. Potts helped found Destihl in Normal in 2007 as a brewpub. The original pub is still there with its original seven-barrel system. 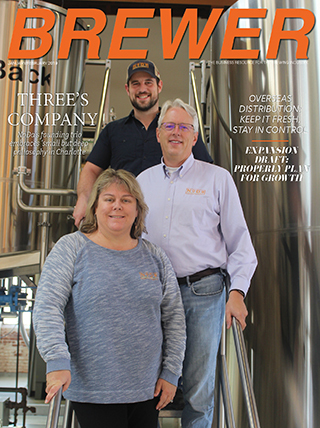 But now, the new home for Destihl touts a 10-barrel pilot system tucked into the corner of a multi-faceted brewhouse that was specifically molded into the set up for the thoughts toward what the future may be. Empty spots line what will be future kettles or mash tuns. Even now, an impressive 120-barrel kettle sits ready for use. It’s most likely the largest kettle for souring in the world. 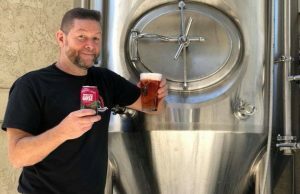 Originally on a career path as a lawyer, Potts got into homebrewing in the mid 90s and by 2001 opened Elmwood Brewing, his first venture into brewpubs. He was a part of a group years later to start Destihl and they opened in late 2007, right before the 2008 Recession hit. The going was slow at the small brewpub, but Potts said they survived. “We did so by not sacrificing quality to the service that we were providing because people are going to go out during those times and spend their money,” he said. “You want to get value in return. That’s what we thought we were giving. And so instead of trying to make ends meet we stayed true to our ideals as a company. Opening during that time taught him a lot, but he can still joke about his luck at times. When Elmwood started to open, 9/11 happened. The recession hit in 2008 right after Destihl opened. And when the brewery expanded to add a location in nearby Champaign, Illinois, a fire ravaged the downtown area. “The cautionary note with this is when we open new businesses I usually try to tell people to maybe pull their money out of their stocks. Put gold under their pillow because every time we open a business a major tragedy happens,” he joked. 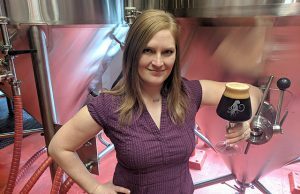 Potts said his advice to aspiring brewers or breweries that are looking to expand is the same as when someone came to him to ask about becoming a lawyer. “I say generally ‘Don’t do it!’,” he kidded. “But I have to understand their passionate and they’re going to do it anyway. So then I’d be like ‘OK, well … then at least pursue an area that you are passionate about. “What’s unique about what you want to do. What’s unique about the area that you’re going in? Is there an opportunity there? Is there already too much demand or too much competition? If there is, are going to be able to compete with that? “In order for people that are going to have something unique enough to fit in and be able to compete. I know for most breweries I’d say if they want to go really the easy route don’t do the food thing because you can reduce the amount of staff and headache and just work with good food trucks. 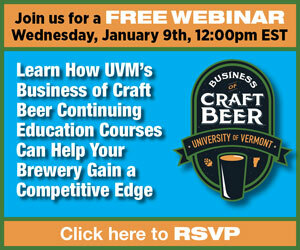 You’ve seen a lot of breweries that have done that model and have been extremely successfully. The easiest way for somebody to get in this business is to keep it easy. For Destihl, that uniqueness means barrel-aged and kettle Sours. Led by their Wild SOURS program and occasional releases from the Saint Dekkera brand, Destihl built its name early in a style that is only now becoming prominent. Destihl put out a press release in September, 2014 that they were putting their Sours in cans and introduced a Wild SOURS series. Today Potts said the Wild SOURS series is about 60 percent of the brewery’s nearly 20,000-barrel production. Potts said he does have plans other than beer for Destihl. With a name like that, he figures there should be spirit making included at some point. Mead, cider and wine also will be a part of the plan. “With a name like Destihl, it would actually make sense if we were distilling and it has been a goal of ours since we opened 10 years ago,” he said. The facility does have room to grow. Potts noted that the land the brewery is on is six acres and an adjoining six acres could be purchased to add to a future campus. “We don’t want to just make clear spirits, but also get into whiskey and that requires a lot of space,” he said, noting the need for many barrels. “That’s getting kind of almost too far ahead of where we are now though. Next Story → Is it Worth Deciding on a Flagship Brand?